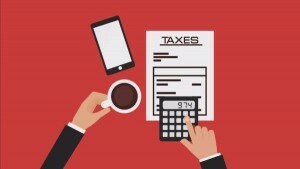 Home » News & Media » Helpful Resources » How Will the 2018 Tax Changes Affect You? How Will the 2018 Tax Changes Affect You? Nobody looks forward to filing taxes, especially when there’s a number of changes that were made that may very well affect your 2018 filing. 50 percent of people they polled said they did not understand how the tax overhaul would affect their bracket. 3 out of 10 people said that they weren’t even clear on the changes that we made at the end of 2017. So, today, we wanted to share with you an easy-to-understand infographic that clearly illustrates some of the most important changes. Click here to view and download the infographic. Since some of these changes have huge implications, please feel free to share this with anyone you think might benefit from it. If you have any questions or if we can be of assistance in helping you with an escrow, please don’t hesitate to contact us. We’re here to help you in whatever way we can! Sign-up now to get real-time news and tips that affect you, your business and clients.